The tone of this amplifier is very sweet and clean, based around a famous “small special amp” It has sweet bell-like tone, if you are a player that likes the tone of John Mayer then this is the amplifier for you. The Clean Soul 25 ti is Tonally Infectus. The tone is very pure, full and sweet. Giving you the perfect tone from your guitar. It is a great platform for all pedals in front and has a transparent FX Loop for your modulation effects. This amp is a jazz players dream, that said its perfect for any type of music style. Call 01785 812071 to check stock and place your order current build time 7 weeks. More musical instrument than amplifier. It has the sweetest bell-like clean tones, and a harmonically rich, expressive and dynamic overdrive. It will not interfere with your guitars natural tone in any way. Call 01785 812071 to check stock and place your order. Current build time 8 weeks. Hand built in England just as they where in the 60s and 70s using only the best in components to keep the original tone. This amp provides you with a creamy 60s crunch that guitarists yearn for. The Vintage 45 is based on the very popular JTM45 amplifier originally manufactured in 1962. Think Eric Clapton Beano Album and you will have am idea of the tone. Three ECC83 and 2 KT66 valves. When cranked, it screams vintage rock, when boosted using a pedal, it screams lead guitar solo! 14/02/19 - All of our amplifiers are now covered by a 5 year warranty on every thing except valves or abuse. 14/02/19 Coming soon An 18 Watt head inspired by a 1966 Legend! 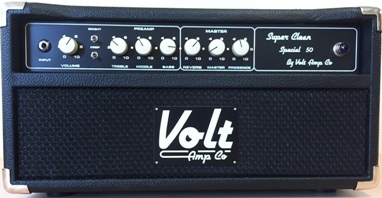 Here at Volt Amp Co we are passionate about producing hand wired supreme quality amplifiers for the guitarist with an ear for big tone. Geoff Pugh has been working with valve amplifiers for over thirty years, servicing, repairing and moding from the late 70s to the present day. 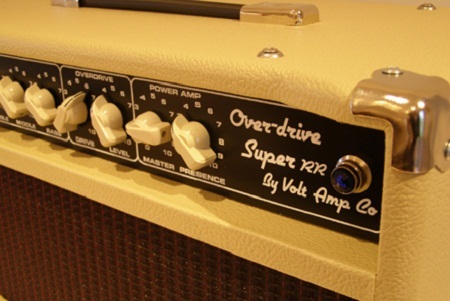 10 years ago the first of the Volt amplifiers were made to satisfy customers that were looking for a vintage sounding amplifier, hand crafted, but available at an affordable price. 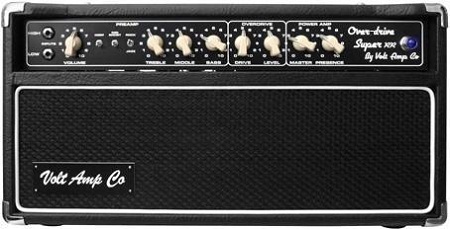 At that time there were numerous amp builders to choose from in the US but alas, very few here in the U.K.. 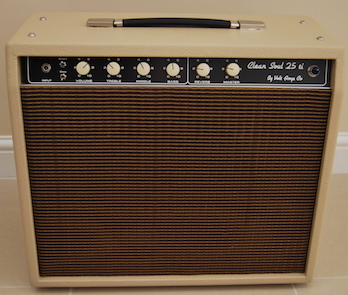 The fist models available were the Vintage 45 head and combo, followed by a simple one channel 18 watt combo. Beginning about two and a half years ago Geoff began working with local guitarist Rob Rolph to develop an amplifier that would produce a super-sweet singing guitar sound. Specifically, an amplifier carefully voiced to deliver tones reminiscent of the greats Larry Carlton and Robben Ford. During his 14 years in Nearly Dan (Steely Dan Tribute Band), Rob had tried and used many different combinations of boutique branded equipment but had never found the complex subtlety of tone he was looking for. After 18 months of intense testing/adjusting and re-testing we eventually arrived at the Over-drive Super RR or ODV S-RR. Rob has said for him we had absolutely nailed that Tone which you can hear in the video clips. 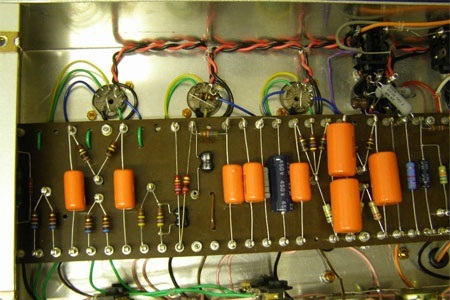 The process of building the Over-drive Super opened the door-way to produce amplifiers with a spectrum of tone and overdrive Geoff had not experienced before. This provided a platform for the start of a great range of amplifiers that will expand model by model. Each amplifier will be meticulously built and tested, then burned in over many hours and re-tested before final setup to ensure a quality, durability and tone fit to last a life time.